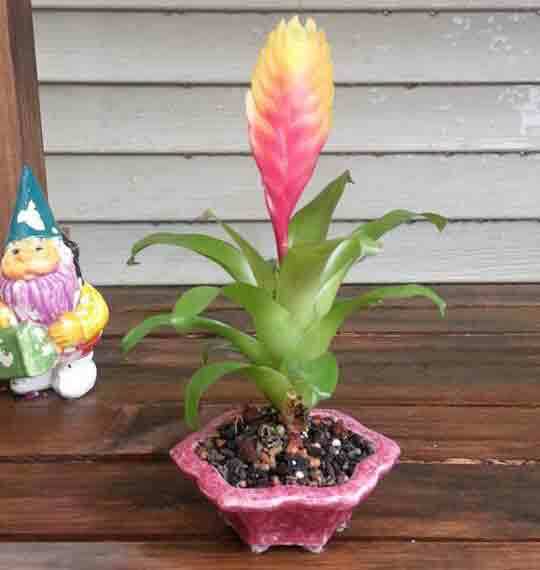 These are some of photos which have been sent by our customers who love plants or pots or bonsai very much. 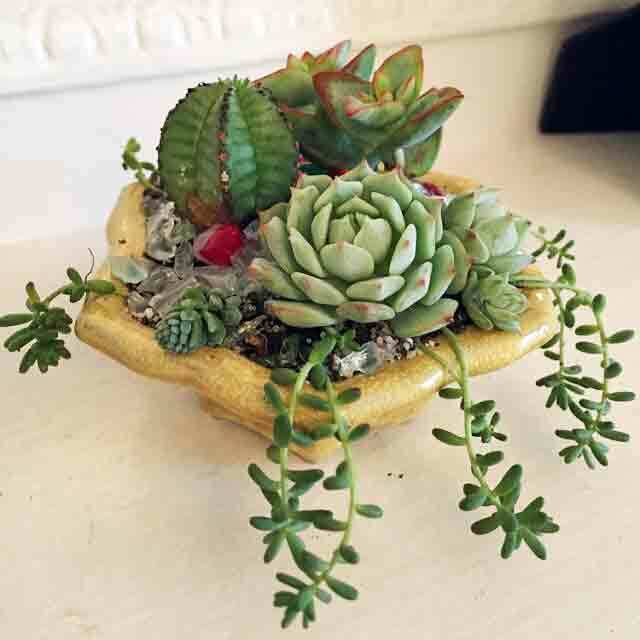 All plants are potted into the Star shape small bonsai pots made by Shuuhou / Hidemi Kataoka of Tokoname. This is from K.H @US. Very fabulous succulent arrangement in the yellow star shape pot! I love it, especially the combination with this pink plant and the pink pot! Thank you so much, Eric! It also came from US. This is from Sami @France. The tee might be an European oak. I very much love them!!! I think each work is really unique and wonderful. 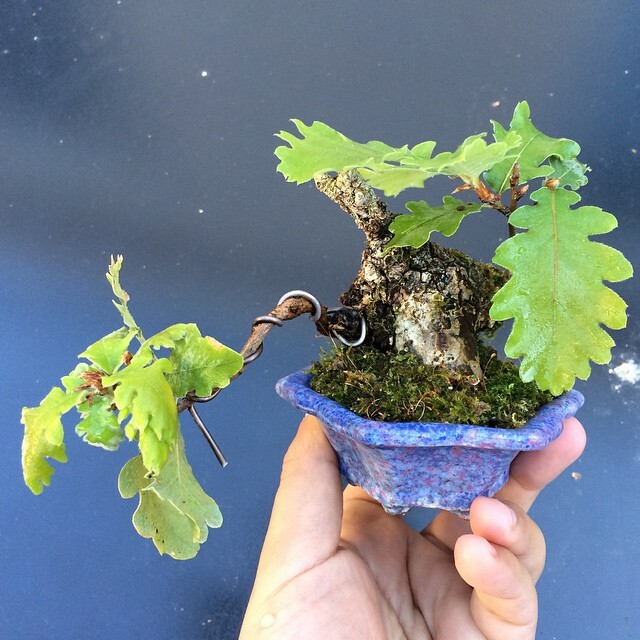 That's why I love bonsai...... Or planted plants in an attractive pot so much. 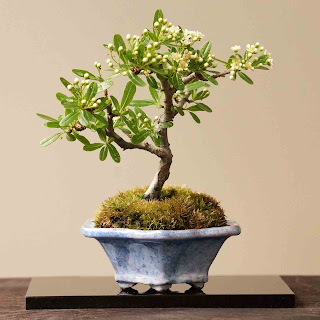 There are many fascinating aspects to do bonsai, one of the most notable things would be that everyone can create a beautiful work of art. I believe that a pot fashioned by a ceramic artist who had outstanding aesthetic acumen and skill will bring out the harmony with the plant. And it is also needed the passion of loving plants and enjoying arranging pots&plants for creating your masterpiece. This is mine. A tree of pyracantha is in the pot. This is mine too. 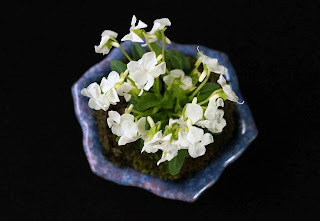 Japanese violet. The red, the moss green, the sky blue and the navy blue are available. 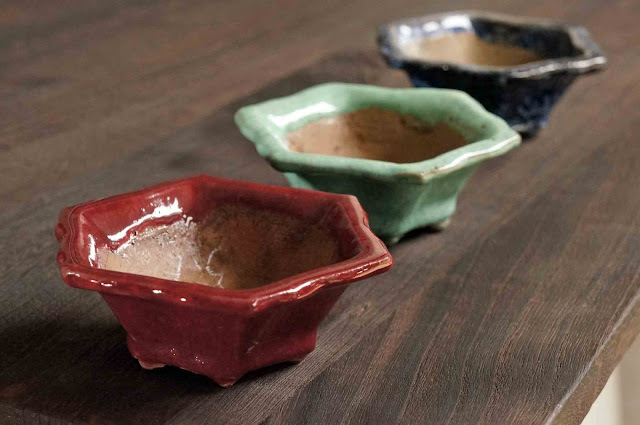 If you are interested in these Star Shape bonsai pots, please contact me. Thank you for reading this post until the end. 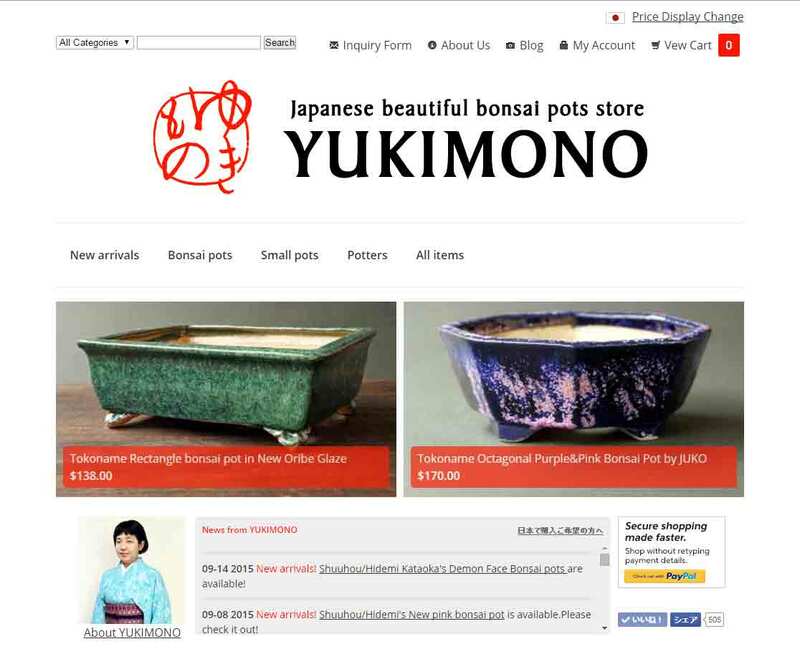 Visit our online store YUKIMONO.